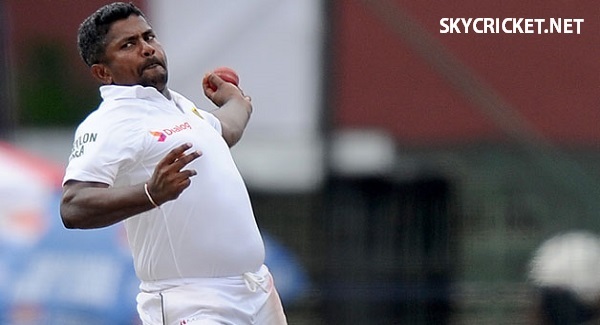 Rangana Herath will not be available for the third Test against India due to back problems. Rangana is likely to be replaced by Vandersey, who has not played any Test match. The third Test match b/w India & Sri Lanka will start on 2nd December, 2017. "Rangana complained of stiffness in his back during the match. This happens to him whenever he tries to bowl a little faster," said manager Gurusinha. Herath went wicketless in first Test but he added 67 runs with the bat that helped Sri Lanka post a first innings lead of 122 runs. The opposition spinners grabbed 13 wickets but Herath finished with just one wicket in second Test at Nagpur. India only batted once in that Test & they declared after posting 610-6. Sri Lanka bowlers managed to take only 6 wickets in second Test & they will play the upcoming Test without their top bowler. Vandersey has only played 11 ODIs & 7 T20s & he has taken only 14 wickets in all. His record in ODIs & T20s is not good. Sri Lanka also have another spinner Sandakan who could not take a single wicket in the tour game in Kolkata. Sandakan has played 7 Tests.